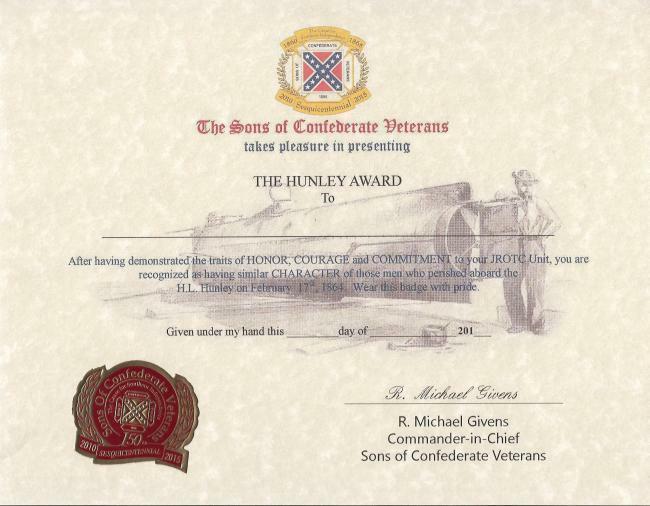 Sons of Confederate Veterans JROTC Hunley Awards Program, named after the famous Confederate submarine, H.L. Hunley and her designer Horace L. Hunley, the first in history to sink an enemy warship. 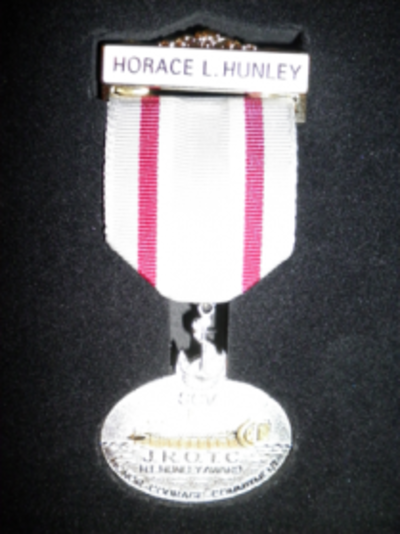 The award is presented to a Cadet who best exemplifies the characteristics of the final crew and commander of the submarine--honor, courage and commitment.